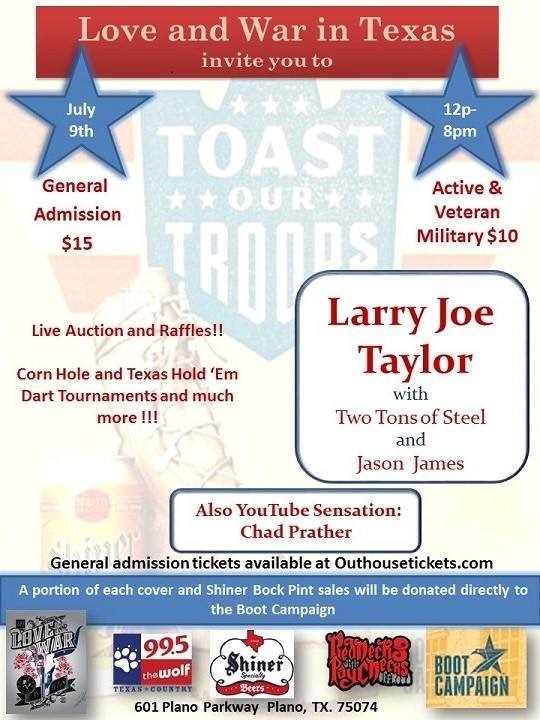 Toast Our Troops is coming to Love & War in Texas on Sunday, July 9th! The event is a country music concert with headliner Larry Joe Taylor! Boot Campaign will receive $2 from the cover charge at the door as well as $1 for every Shiner sold!